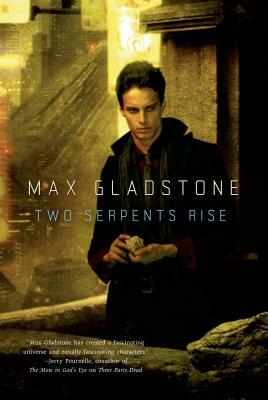 In "Two Serpents Rise "by Max Gladstone, shadow demons plague the city reservoir, and Red King Consolidated has sent in Caleb Altemoc--casual gambler and professional risk manager--to cleanse the water for the sixteen million people of Dresediel Lex. At the scene of the crime, Caleb finds an alluring and clever cliff runner, Crazy Mal, who easily outpaces him. But Caleb has more than the demon infestation, Mal, or job security to worry about when he discovers that his father--the last priest of the old gods and leader of the True Quechal terrorists--has broken into his home and is wanted in connection to the attacks on the water supply.